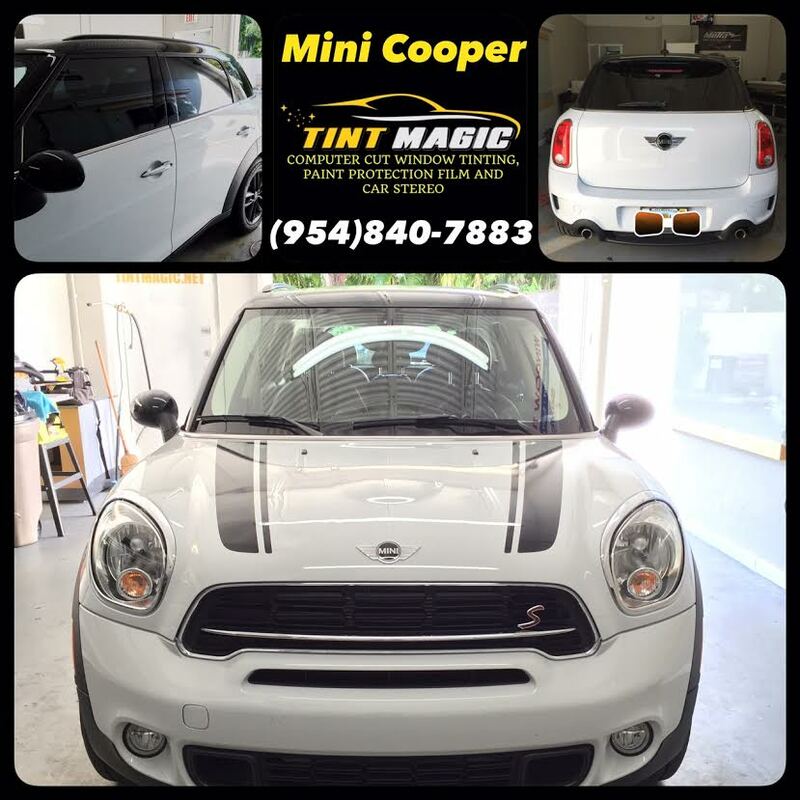 Mini Cooper Countryman at Tint Magic Window Tinting Coral Springs. We have applied our Gold Package Window Tint on 18% all over around the windows for an even shade effect, with up to 43% solar energy rejection and Lifetime Warranty for peeling, bubbling and fading. Call us for a free estimate! (954) 840-7883. In European cities, its sheer size can be intimidating, and even the company itself admits that the Countryman is “the big Mini.” But despite the snickering of purists, this car is a success in the market. Second only to the three door Mini, the Countryman accounts for 30 percent of the brand’s American sales. There are some 350,000 of them roaming the globe. And the success story is likely to continue with the modest face lift that the BMW-owned marque has served up for the New York auto show this week. Just as before, there are three power levels, which are designated with the Cooper, Cooper S, and John Cooper Works monikers. At 208 horsepower, the John Cooper Works is the version that impresses most, coming standard with Mini’s ALL4 all-wheel-drive setup—driving the rear wheels is an option on the mid-level Cooper S. In welcome news for enthusiasts, a six-speed manual is standard on all models, and a six-speed automatic is available as an option.